Almost all the sugar in the world comes from sugar cane. Sugar has been produced, traded, and consumed for centuries and it was able to make its way around the world and drive economic growth in the countries it was brought to. It brought about the creation of Australia’s very own sugar cane industry, which generates tens of thousands of jobs and billions in revenue. To sustain its growth and make sure it always meets its customers’ demands, the industry has gone through many improvements and evolution throughout the years. One of these advancements is the use of automatic sugar cane equipment grease lubrication systems to keep all the equipment used to produce sugar in the country in the best condition. Sugar cane was brought to the country in 1788, aboard the ships of the First Fleet. While it was sought after in other countries, it wasn’t until 1862 when Australia really got into producing sugar. That year was when the first viable sugar cane plantation was established near Brisbane by Captain Louis Hope, a member of the Queensland Legislative Council, and John Buhôt, Hope’s sugar boiler. But it didn’t take long for their business to grow and effectively help the country’s sugar cane industry get started. In 1864, Hope established the country’s first commercial sugar mill. Early sugar production used overseas labourers, but recruitment of labourers from overseas ceased in 1904, three years after Federal Government legislation. But that didn’t stop the country’s sugar cane industry from growing. Migrants from Europe, particularly Italians, came seeking a better life for themselves and their families. Since the sugar cane industry was so lucrative, they sought employment in Queensland’s sugar cane fields. So many Italian sugar cane cutters earned enough to buy their very own small farm that growing sugar cane became the preferred business of small, family-operated farms across the country. That’s why many of Queensland’s current sugar cane growers are descendants of the early sugar cane cutters. 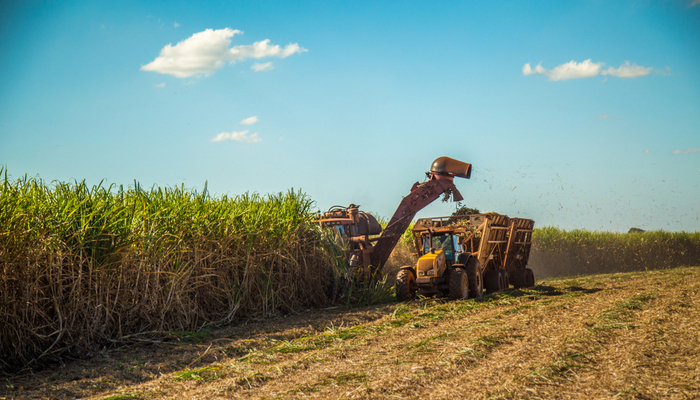 Fast forward to the present, sugar manufacturing is one of the country’s biggest rural industries, generating up to $2 billion in export earnings in Queensland alone, according to the Australian Sugar Milling Council. As valuable as sugar is, the sugar cane industry wouldn’t be as successful had it not undergone mechanisation. Sugar cane farming used to take a lot of work. From cutting to loading it by hand, the process was very laborious and time-consuming. There had to be an easier, faster and cheaper way so that farmers could meet the increasing demand for sugar. They could only do so much on their own, so development of the industry depended in large part on advancing sugar cane loaders. Great advances were made from the 1940’s to the 1950’s, when the mechanical sugar cane loader was built and developed. But no matter how much they’re developed, mechanical sugar cane loaders sustain wear and tear, like all machines do. To help keep them in good condition for as long as possible, farmers install automatic sugar cane equipment grease lubrication systems. Sugar cane has grown into one of the country’s biggest industries, and it continues to come up with ways to produce sugar more efficiently to better serve its customers. In 2014, Australian scientists discovered a new species of bacterium that could replace nitrogen as a fertiliser in sugar cane farming while helping improve crop yield, according to the Australian Trade and Investment Commission. Advanced sugar cane farming practices and new sugar cane varieties have enabled the industry to more than double its productivity in the last six decades. According to Australian Sugarcane, a hectare of land can yield 80–100 tonnes of sugar cane from which 10–15 tonnes of raw sugar can be produced. This proves the industry continues to thrive, ensuring it will last for many more years to come.